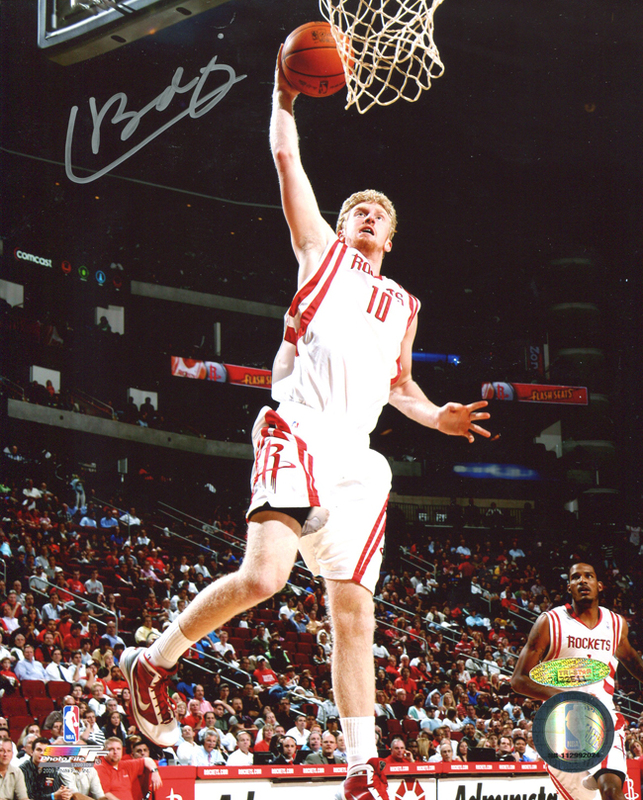 Chase Budinger autographed, hand signed Houston Rockets 8x10 photo. Each hand signed photo includes an individually numbered, tamper evident hologram from TriStar guaranteeing its authenticity, which can be verified at www.tristarauthentic.com. Chase Budinger is a former Houston Rockets small forward, scoring a career high 24 points in a 2009 game against the Celtics. Budinger currently plays for the Minnesota Timberwolves.